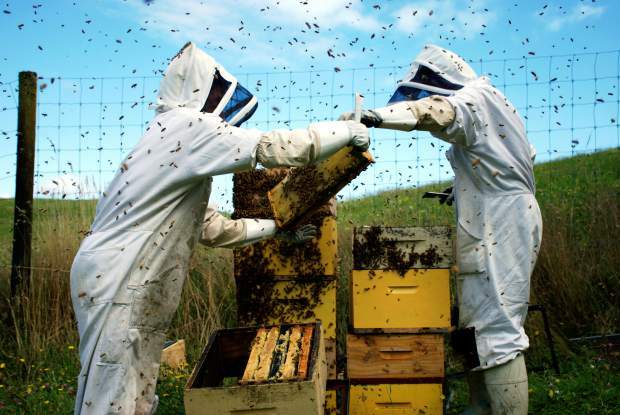 Commercial Beekeepers working on their Beehives. BOZEMAN — Researchers at Montana State University have published an informational paper in a scholarly journal summarizing what's known about the role that viruses play in honey bee health. Co-authored by Michelle Flenniken, assistant professor in the Department of Plant Sciences and Plant Pathology in MSU's College of Agriculture, and two MSU graduate students, the article, "The buzz about honey bee viruses," was published Aug. 18 in the journal PLoS Pathogens, which publishes "outstanding original research and commentary that significantly advances the understanding of pathogens and how they interact with their host organisms," according to the journal website. Honey bee colony losses have averaged 33 percent annually since 2006, increased from a historic average of approximately 12 percent. There are multiple factors, including chemical exposure, lack of quality forage and pathogen prevalence and abundance that impact bee honey bee colony losses. 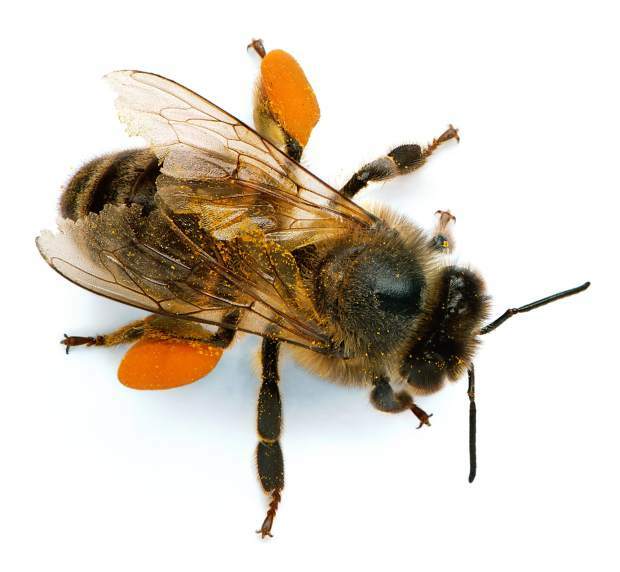 Flenniken said colonies afflicted with Colony Collapse Disorder, which accounts for approximately five percent of annual losses but is poorly understood, have a higher prevalence of certain viruses. "Now, we can study individual viruses and their interactions with individual honey bee cells," he said. "We can look at all the genes that are expressed or 'turned on' when a bee is infected with a virus," Flenniken added. "There is a lot of concern about honey bee colony collapse, but it's been a very difficult puzzle to solve," Sherwood said. "What's unique about Michelle's work is that until recently there has been relatively little research on the viruses [that may be key pieces of the puzzle]."